The West Bengal Central Valuation Board Act, 1978, was a legislation intended to bring forth a uniformity in the valuation of urban properties in West Bengal and also to introduce an objectivity in the valuation of lands and buildings in the urban areas for the purpose of Municipal taxation, and at the same time to secure a high yield of Municipal revenue in the form of Property Tax which constitutes the principle source of income for the urban local bodies. Before the Board came into existence, the laying of the tax-base for urban property was left to be private assessors drawn from a panel maintained by the State Govt. in this behalf. Thus, an individual assessor or a firm of assessors used to be engaged by the Municipality for preparation of valuation list of the land and buildings of the concerned Municipal area. The result was extremely varied norms of valuation from Municipality to Municipality, discrimination in the matter of valuation from holding to holding caused by some extraneous factor and the Municipal valuation list objected to from all quarters. 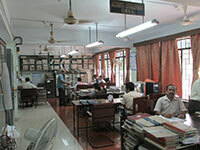 In Kolkata, however, the Municipal Corporation has its own machinery for valuation of land and buildings in the city. But the systems followed have been subject of criticism both from the technical and fiscal point of view. In this perspective the Central Valuation Board was created for the purpose of providing objective and rational valuation of lands and buildings on scientific basis so that some principle of valuation may be followed for the purpose of Municipal taxation throughout the State and at the same time, an objectivity of approach is infused into the system with a view to removing the sense of discrimination which the rate-payers in general suffer from. The West Bengal Central Valuation Board Act, 1978 (West Bengal Act LVII of 1978) came into force on and from the 5th February, 1979. The word "Central" was omitted by Section 2 of the West Bengal Central Valuation Board (Amendment) Act, 2002. With all these objective and purpose of guiding the Board's activity, the Act contemplates that the Board in the long run undertake periodic revisional valuation of lands and buildings in each Municipal area of the State in every 5 years. With this end in view, necessary enabling provisions have also been incorporated in the Municipal laws relating to Kolkata and Howrah at the time of re-enactment in the year 1980. As per Section 4 of West Bengal Valuation Board Act, 1978, the West Bengal Valuation Board is a body corporate with perpetual succession and a common seal and may sue or to be sued in its corporate name. The Board is competent to acquire, hold and dispose of any property, both movable and immovable, to enter into contracts and to do of it all things necessary for the purpose of the Act. West Bengal was only the State during the time of enactment of the said Act in India which had set up a statutory body for valuation of Municipal house properties. It is worthwhile to mention here ultimately the Board got recognition for its assiduous efforts to work with a mission towards sustainable result in its area of activities despite the lack of proper infrastructure for the State level agency. The recognition came from the 13th Finance Commission. Report of the commission was placed before the Parliament in February 2010 by the Hon'ble Finance Minister, Govt. of India. As per recommendation of the Commission all the State Governments were requested to put in place a State Level Valuation Board or Property Tax Board in the line of West Bengal to standardize the property valuation in the State. The Board actually started functioning with a small establishment in the Year 1981-82. In the initial years the Central Valuation Board engaged itself in a thorough study of existing methods of valuation of lands and buildings for Municipal taxation. For evolving a scientific method of valuation through a process of interaction amongst eminent experts, University academics and Municipal functionaries, the Board organized a number of workshops, seminars and informal discussion during those years. Later in the year 1988, the Central Valuation Board presented a paper on the new methodology of valuation it had developed under the caption "A New Methodology for Rational and Objective Valuation of Lands and Buildings for Municipal Taxation" in a national seminar organized by the Board in collaboration with Ministry of Urban Development, Govt. of India. The seminar highly appreciated the new valuation concept of Central Valuation Board. It is heartening to see that the responses from the Urban Local Bodies in the matter of annual valuation of urban properties and determination of property tax have been very much encouraging. Under the present statute the West Bengal Valuation Board undertakes general valuation of lands and buildings within a Municipal area after State Govt. in the Municipal Affairs Department, by a Notification under Section 9(1) of the West Bengal Valuation Board Act, 1978 (as amended) authorizes the Board in this behalf. The said Section lays down that the general valuation of lands and buildings to be done by the Board in accordance with the provisions of either the West Bengal Municipal Act, 1993 or the West Bengal Municipal Corporation Act, 2006.